Circuit Court important for rural areas | Daily Express Online, Sabah, Malaysia. KENINGAU: The establishment of the Circuit Court in the Sook sub district is very important to resolve cases faced by the people in the area, said Chief Justice of Malaysia, Tan Sri Richard Malanjum here. He said the Court was the latest in the state after Pitas, Kota Marudu, Kota Belud, Ranau, Telupid, Tuaran, Papar, Sipitang, Tenom, Nabawan and in some districts in the East Coast of Sabah. 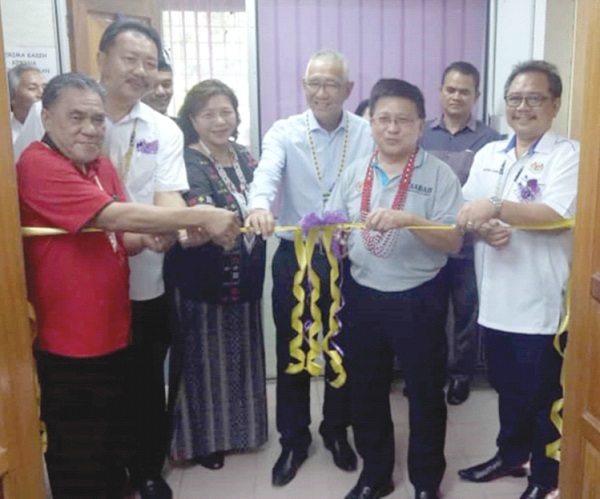 “A lot of petty cases like traffic offenses and others can be resolved through the court without referring to the Magistrate’s Court in Keningau,” he told reporters after opening the Sook sub district circuit court here last Monday. He said the people in the Sook area would not have to spend more on paying for vehicle fares to settle their cases in Keningau. Richard said the confirmation of a letter of oath, a letter of declaration and so on could also be resolved in Sook through this court service. He said a trail room located in the Sook Sub District Office building was set up to place the court’s scheduled service operation to be administered by a Magistrate and several other staff. Richard said the government approved the establishment of the court service due to the high demand of the rural population as well as a training ground for the District Chief (DC), Native Chief (NC), Native Chief Representative (NCR) and Village Head (VH) on how the trails are organised. “DC, NC, NCR and VH need to know how the magistrate conducts trials and this knowledge is very useful for these custom practitioners as they practice it the Native Court. “This is not an ordinary room (Circuit Court) but a training room for them to follow the proceedings in this court,” he said. He said secondary school students within Sook are encouraged to attend the trial sessions. Malanjum reminded residents in Sook area to take advantage of the service and not to make any conflic during the trial. He emphasised that the court is a place to settle their problem in a peaceful environment or a mediation for the cases.